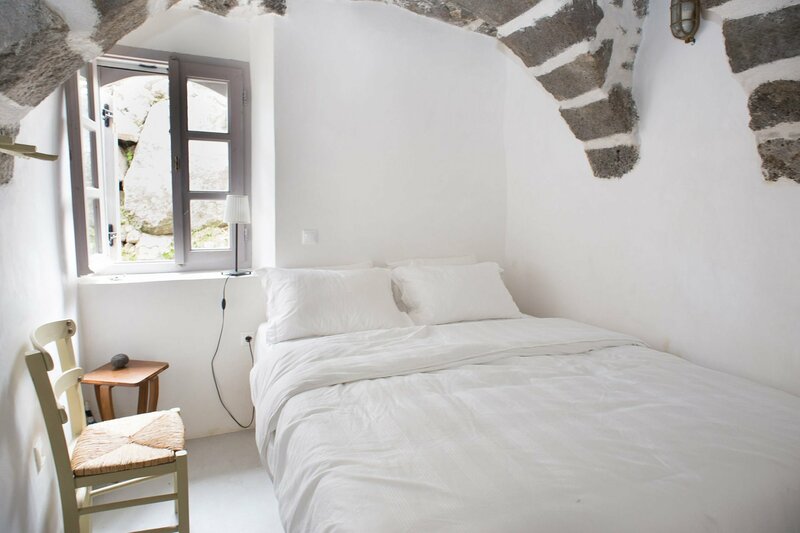 Weekly rates for Kafka Stone House start from £ total, depending on selected dates. 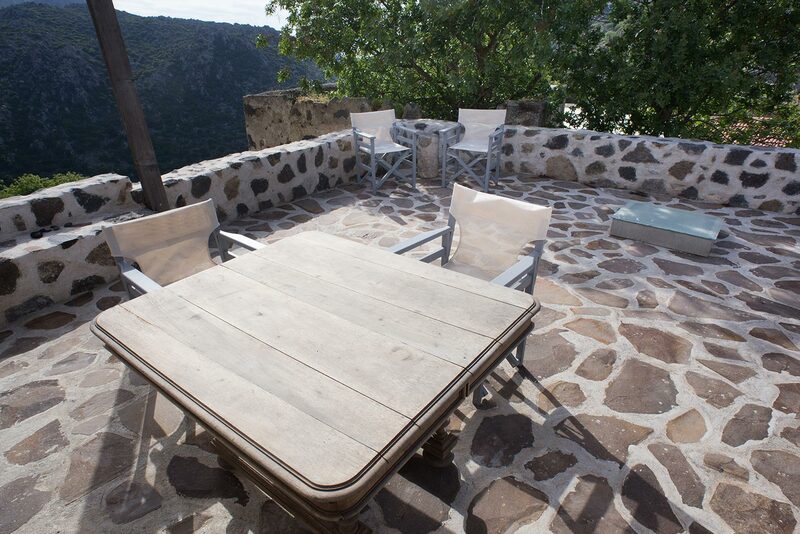 Located at the edge of Emborios overlooking the caldera, Kafka Stone House is a traditional Nisyrian house with a superb terrace. 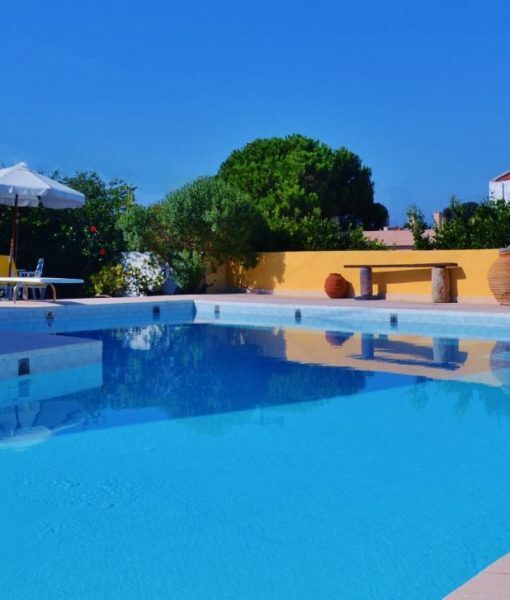 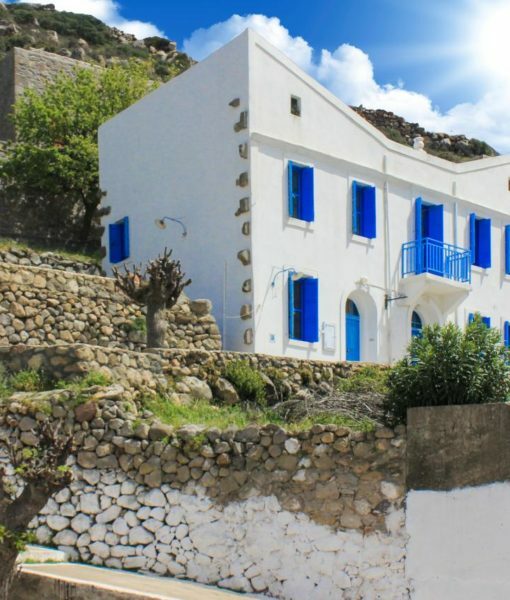 A short stroll from the parking area, village square and tavernas, the property is surrounded on three sides by trees and scrub – the only sound to break the tranquillity is birdsong. 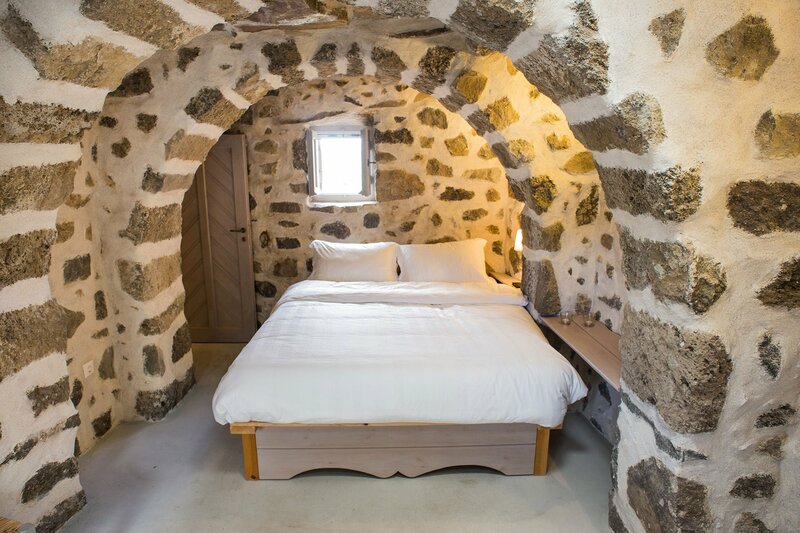 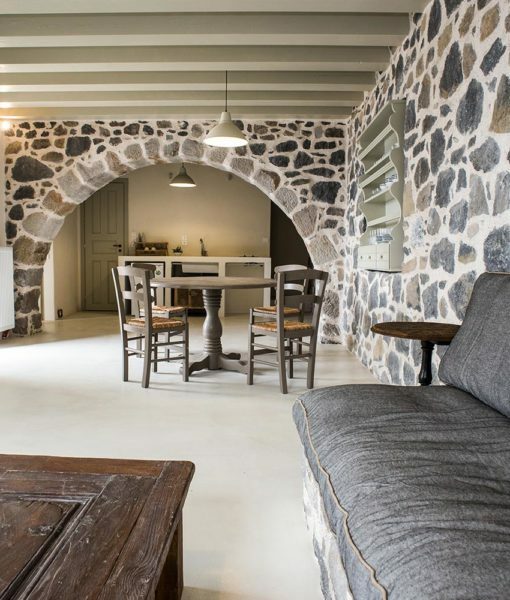 Constructed from local volcanic stone, this rustic property has two bedrooms, both with double beds and atmospheric stone arches. 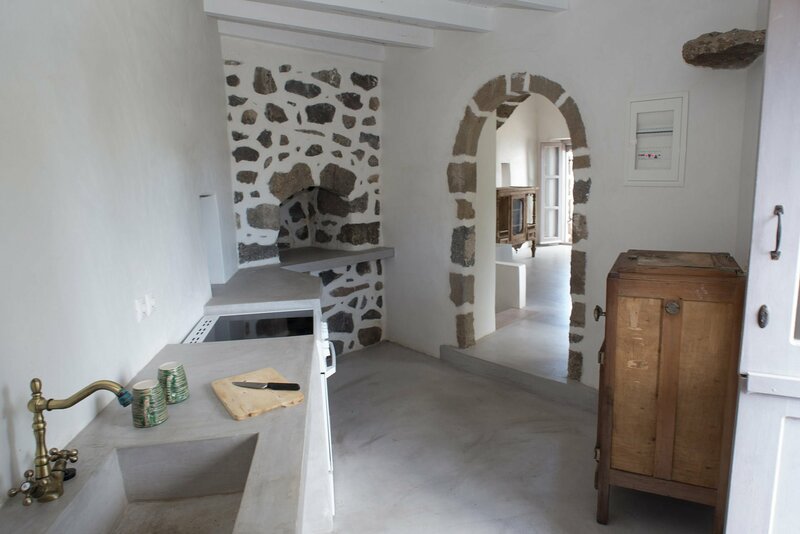 There’s an open-plan living/dining area, fully equipped kitchen with washing machine, and bathroom with shower. 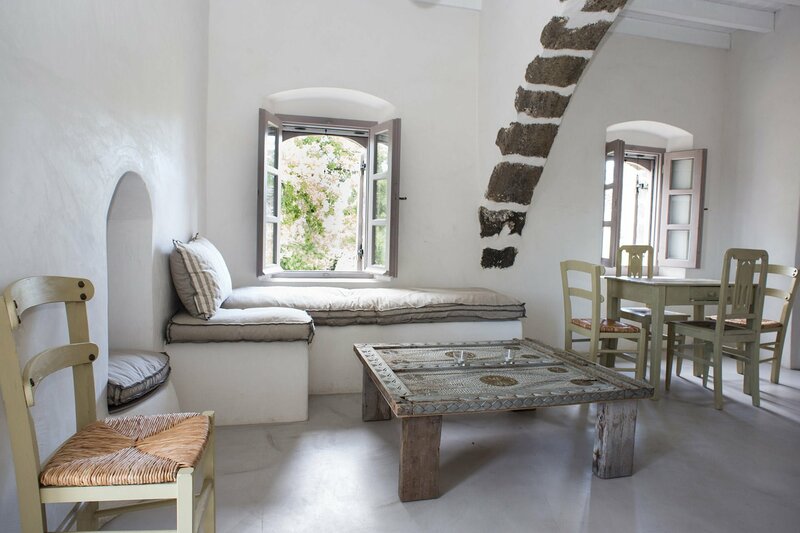 The traditional construction of the property naturally keeps the interior cool with no need for air-conditioning. 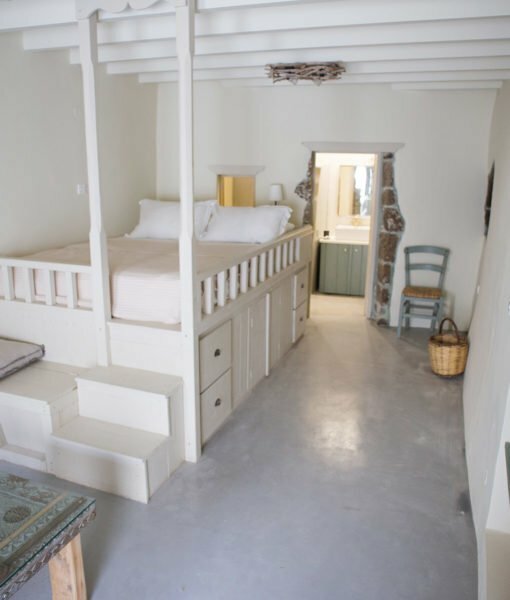 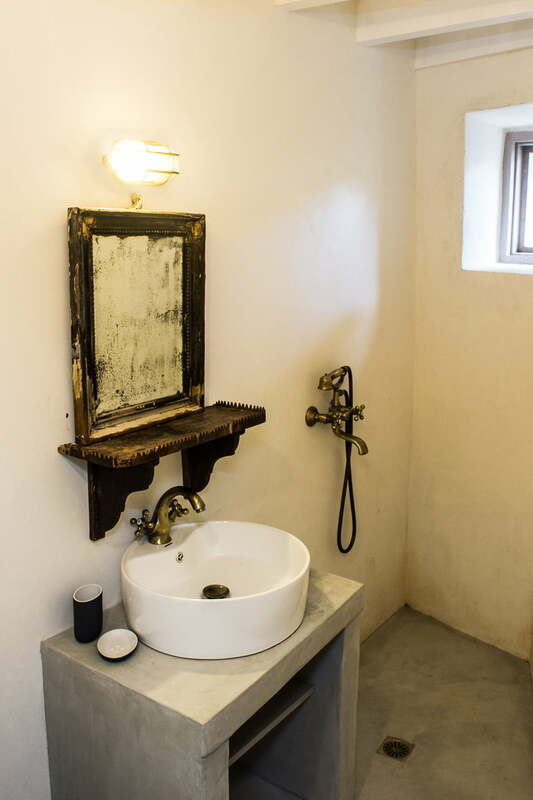 Kafka has been tastefully renovated to a high standard and features lots of restored antique pieces. 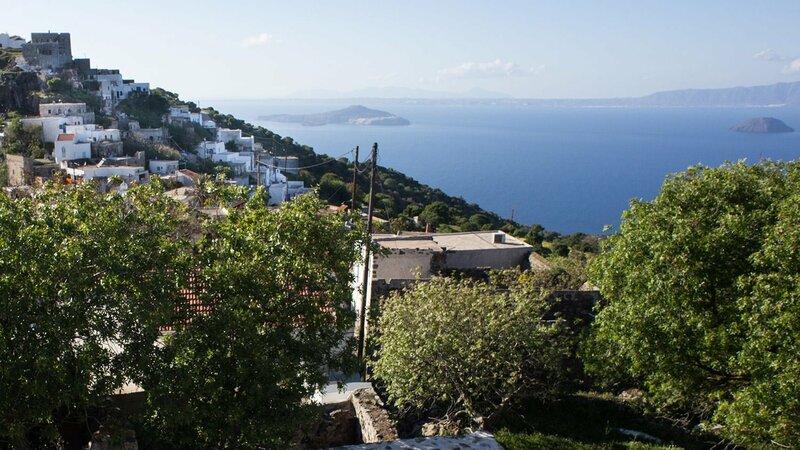 The highlight of the property is the generous terrace with seating – ideal for relaxing and enjoying the mesmerising views into the caldera and sweeping views of the Aegean Sea with Kos and Turkey in the distance.